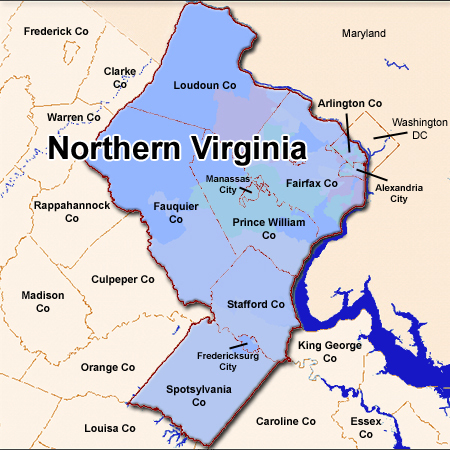 Fredericksburg is located about an hour south of D.C, sandwiched between Spotsylvania and Stafford Counties. 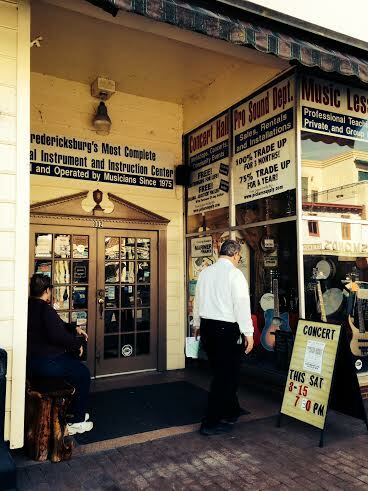 On Saturday I decided to visit Fredericksburg, my old college town. It was a warm, sunny day and it’s just an hour away, so it’s really the perfect day trip. 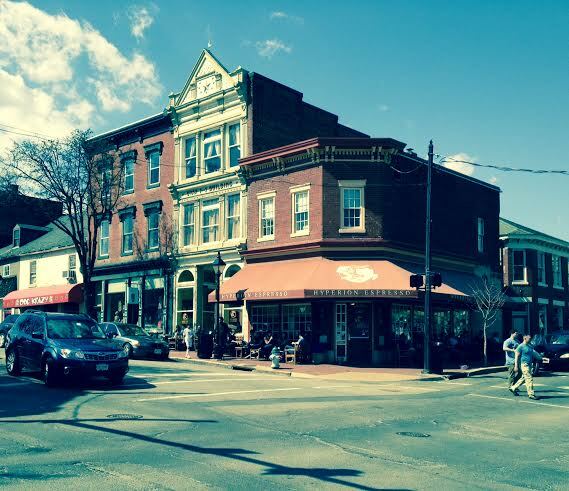 If you don’t live in Virginia, you’ve probably never heard of Fredericksburg. 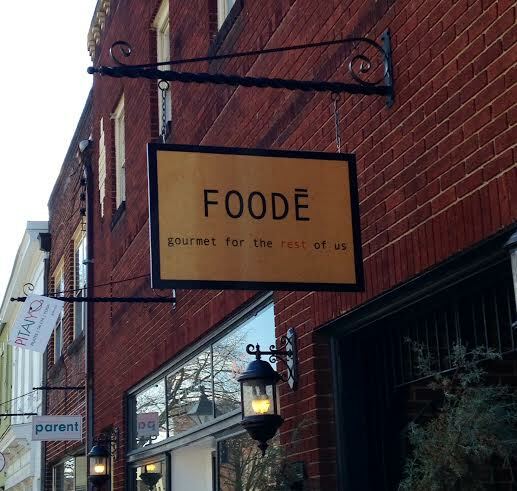 And if you happen to be in Fredericksburg it’s probably for one of three reasons: 1.) You go to the University of Mary Washington (as I did), 2.) You’re really into the Civil War and are visiting the Fredericksburg and Spotsylvania National Military Park (I’m not and I haven’t) or 3.) 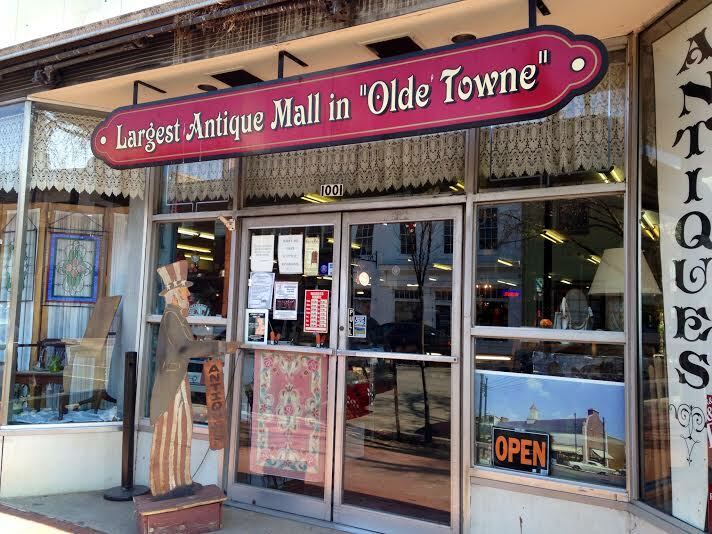 You’re really, really into antique shopping (I’m not). 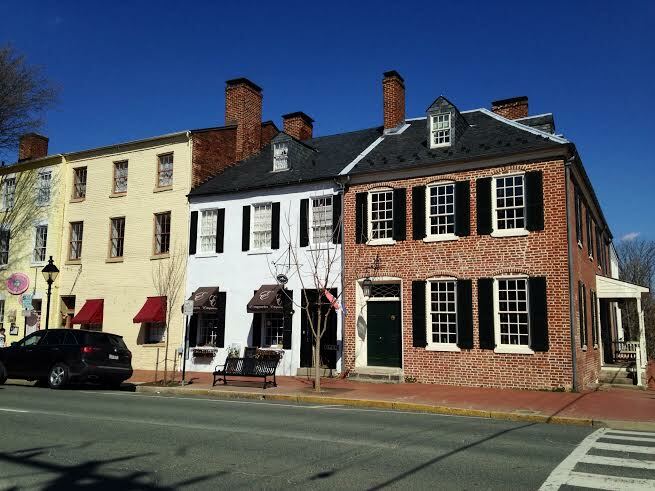 For those of you unfamiliar with Fredericksburg, it’s kind of like Old Town Alexandria’s frumpy sibling (and if you’re unfamiliar with Old Town Alexandria, think of some well-preserved — if slightly dodgy — colonial town you’ve been to). 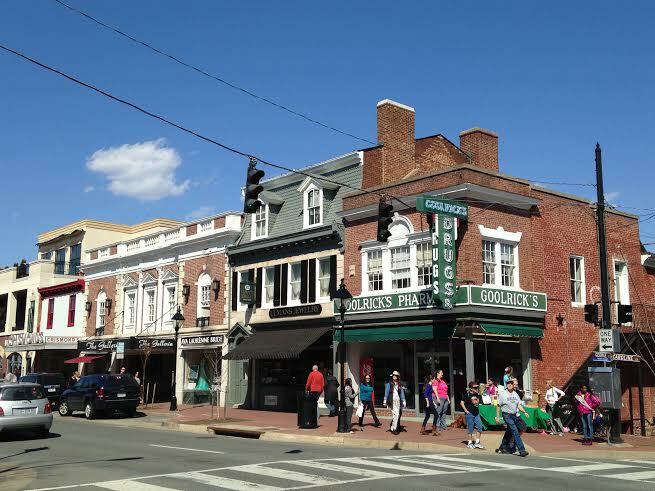 That’s not to say Fredericksburg is ugly or charmless; it just doesn’t have the exclusive, elegant vibe Old Town does; charm it has plenty, at least in my opinion. Both are historic train towns founded in the same century (18th) built in close proximity to a river. 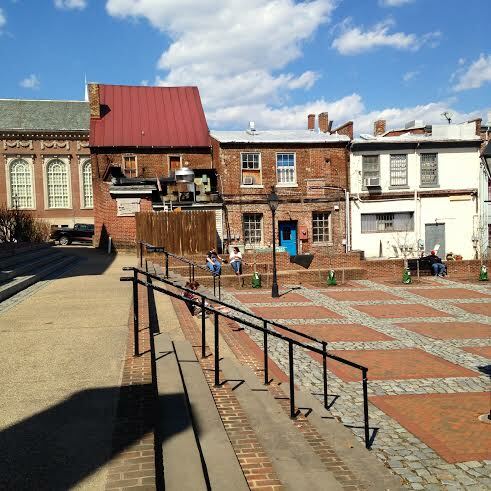 In Old Town Alexandria’s case it’s the Potomac and the riverfront has been developed to carnival-esque proportions; in Fredericksburg it’s the Rappahannock, which seems more like an afterthought than an integral part of the city. Except for the Chatham Bridge that allows you to cross the Rappahannock on foot (to what? the sidewalk ends once you cross!) and loudly proclaims it was built in 1941 through a series of commemorative plaques, the river just kind of hangs out at the end of town. While I was strolling through old town Fredericksburg I started thinking about Bill Bryson’s A Walk in the Woods, his memoir about hiking the Appalachian Trail. In the book, Bryson visits Harper’s Ferry during the West Virginia portion of the trail and he makes a comment that really made me reflect on the concept of American small towns. Unlike Europe and Latin America where the residential and commercial share street space, U.S small towns are often preserved as relics (tributes?) 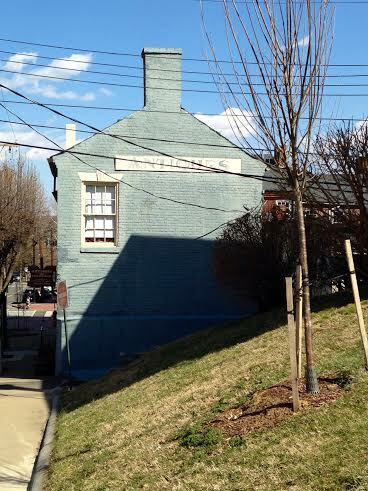 to the past, outdoor museums honoring an idealized America that no longer exists. I think Bryson said something to the effect that Americans don’t trust themselves to live in the actual historic district because they might ruin its perfectly preserved aesthetic. And I think this is true. 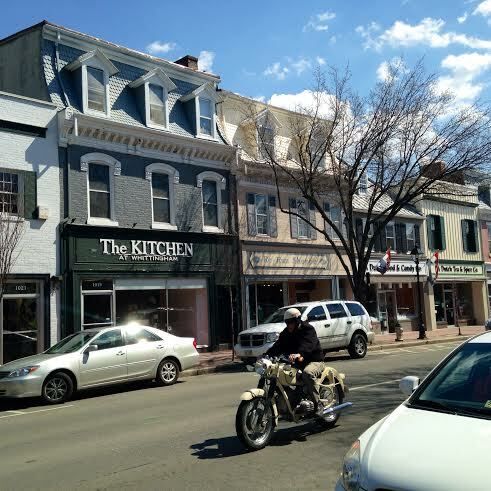 In places like Harper’s Ferry, Fredericksburg and Culpeper (another well-preserved Virginia train town) very few people actually live in historic downtown. Travel a few blocks away from the historic district and you’ll find stately southern homes — some brilliantly maintained, others sagging and rotting — but unlike Latin American and European cities where you’ll often find modest apartments above shops and restaurants or townhouse right in town, Americans seem to believe that preservation requires the absence of actual residents. I don’t know if American small towns have always been this way but I have a feeling they weren’t, as I see a lot of “this was the house of George Washington’s second cousin twice removed” signs outside historic properties in small town historic districts. 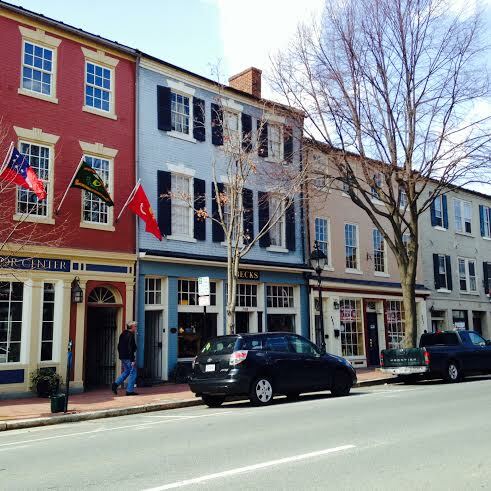 During my time as a student at Mary Washington I spent very little time in historic Fredericksburg. I don’t know why. It’s the kind of place that’s right up my alley: Tons of antique shops, a fantastic cafe, used book stores, great dining options, horse-drawn carriages, layers of history — a postcard to nostalgia, really. 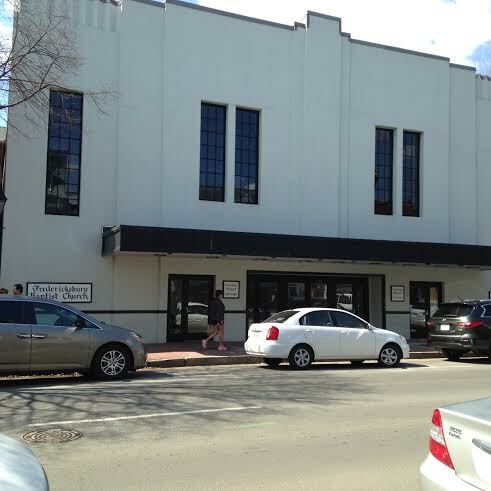 I feel like I got a good feel for historic downtown Fredericksburg this time around. Maybe next time I go I’ll visit the Battlefield and some of the historic sites outside town, like Belmont Estate, Kenmore Plantation, The Rappahannock Canal Walk and Motts Run Reservoir. There are more antique shops than I can count in Old Town. 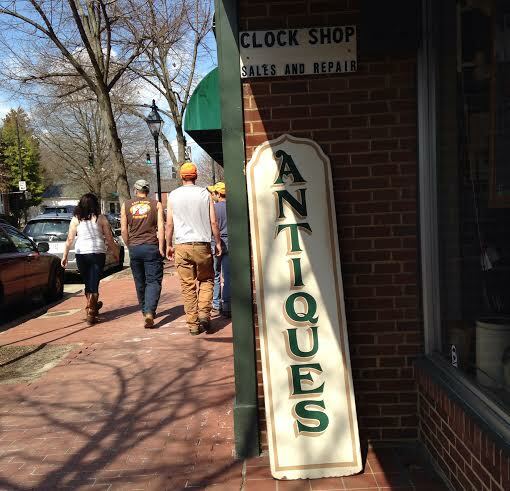 Is it just me or does being a Civil War town go hand-in-hand with an inordinately high concentration of antique shops? BTW, prices seemed a little steep in Fredericksburg, so if you’re looking for bargains you may want to look elsewhere! One of the things I find interesting about leaving the D.C area is that you see different kinds of people. I’m not saying everyone in D.C is the same, just that the city and its suburbs tend to attract a certain kind of person. 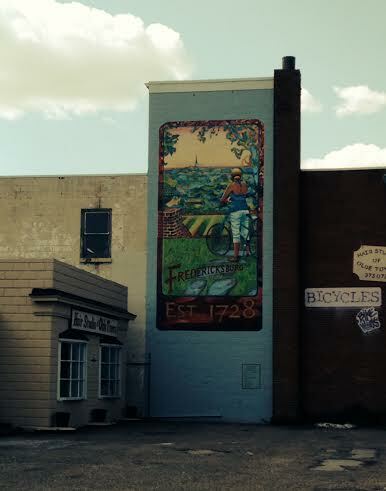 The D.C area is ethnically diverse but not necessarily “lifestyle” diverse. In small towns like Fredericksburg, you have a little bit of everything: Fancy high-class folks, students, tenured professors well-integrated in the community, “townies,” rednecks…basically, everything from trailer park to mansion dwellers. Mary Washington is a small liberal arts college with a 70/30 female/male ratio, so the transient student body leans liberal and artsy. I’m sure this wide range exists in the D.C metro area…it’s just more apparent in small towns. For example, while I was walking around I saw several young mothers who couldn’t be over 20 or 21 walking with a toddler in hand. This is something you don’t often see in the inner D.C suburbs. 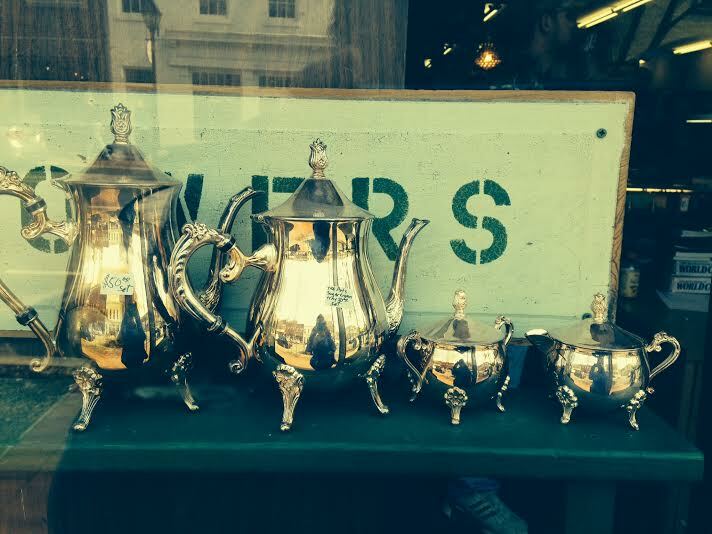 Tea kettles on display at an antique shop. Where does this infinite supply of old stuff come from? Old Market Square. I think some tables would be nice here, but maybe that violates some kind of preservation regulation? Market Square from another angle. There was some filtering action going on in this picture. 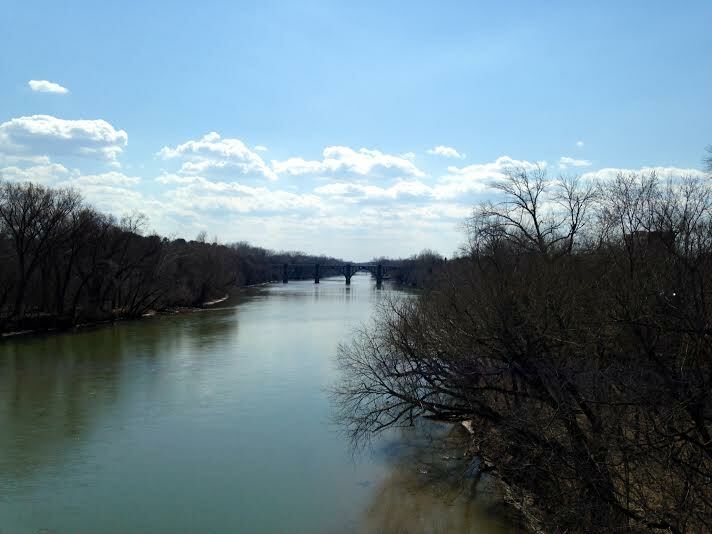 A view of the Rappahannock River from the Chatham Bridge. 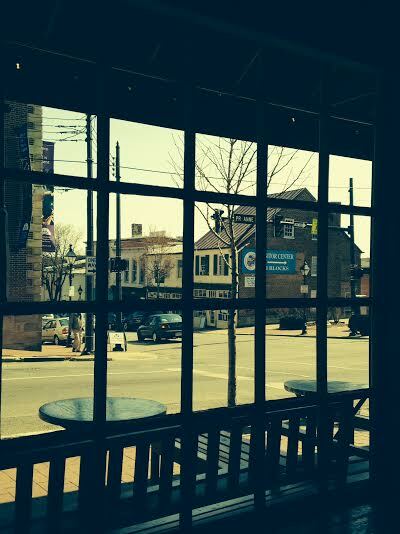 The view from Hyperion Cafe. Hyperion was relatively new when I was in college, long before I was into the cafe scene, unfortunately. I actually didn’t go to Hyperion until long after graduation, but it’s a really nice cafe with a great vibe and the serve pretty good coffee. Hyperion cafe and other historic structures from the outside. It’s snowing today in D.C (and work is canceled!) but I was thrilled to see this sign of spring in Fredericksburg. It’s been a long and cold winter and I want nothing more than for spring to come. Fredericksburg gets a little big dodgier right by the river. But maybe dodgy isn’t the right word…more like zoning/preservation regulations are more relaxed, making things feel ever so slightly seedier? Bicycle hangout. 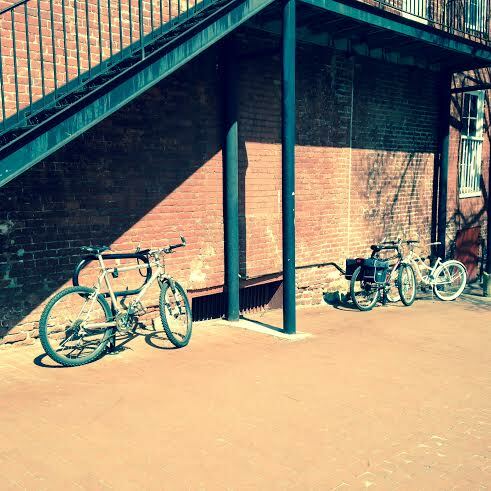 I noticed the other day that I take a lot of pictures of bikes. I guess I just feel like there’s nothing quite like exploring a place on bike. Someone forgot to tell the Fredericksburg Baptist Church that they aren’t conforming to historic Fredericksburg architectural standards! Most structures in historic Fredericksburg are colonial in nature, but the Fredericksburg Baptist Church went more for the ghost-blob architectural look. This music store was around back when I was in college. This place has great reviews online and looks nice inside. Is it trying to be ironic? There was a line out the door, so it must be good! St. George’s Episcopal Church’s main claim to fame is that George Washington’s mother attended services here. 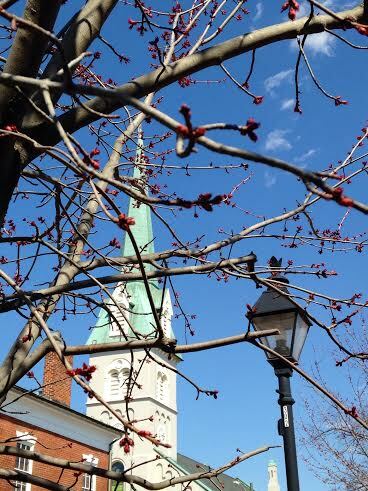 According to Wikipedia, the original church was completed in 1741 as an Anglican Church and was later rebuilt in 1815 and 1849. 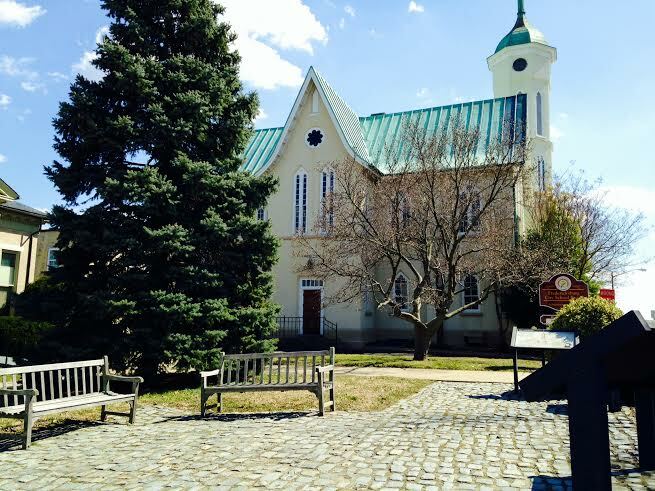 There are lots of historic churches in downtown Fredericksburg but this one was the easiest to photograph. 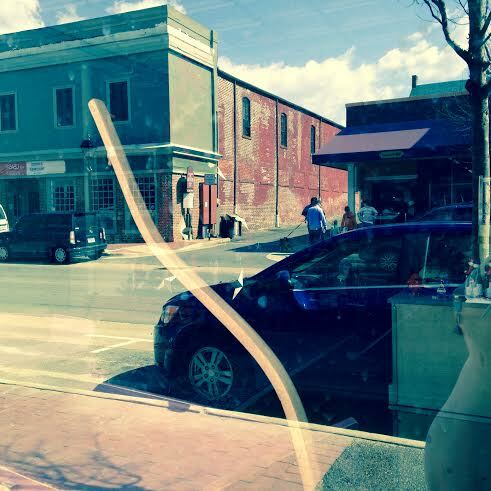 I was trying to take a picture of an antique shop window display but instead got a reflection picture. I kind of liked it anyway! Cars, shops, people, dogs and antiques. Yet another antique shop in old town. 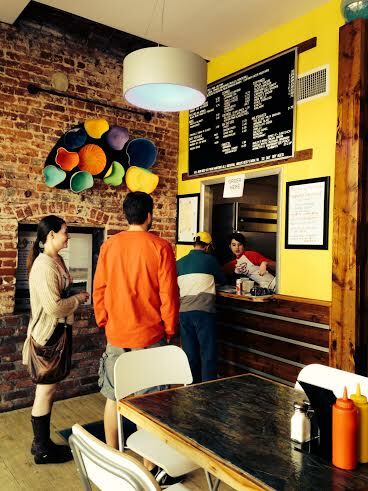 Vivify, a 50’s style burger joint in old town. We ordered from here and ate at Market Square. The burgers were good but a bit pricey, coming out to about $12 for a combo meal. Goolrick’s Pharmacy doubles as soda fountain and is apparently the oldest continuously operating soda fountain in the country. The pharmacy itself opened in 1863 and the soda fountain has been in operation since 1912. The back of the shop is your typical — if slightly old-fashioned — pharmacy, while the front is a casual restaurant popular with the grandparent-grandchild crowd. Perfect day for motorcycle riding. 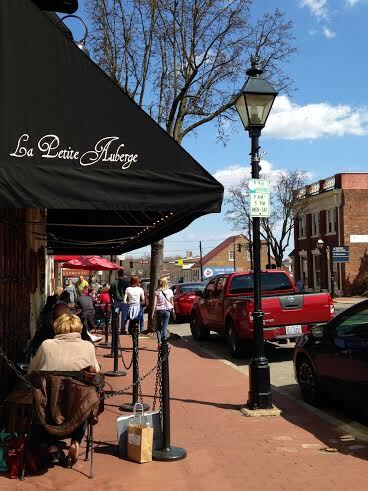 Outdoor dining in Fredericksburg. I was always curious about this restaurant when I was in college and still haven’t gone. Maybe during my next trip to Fredericksburg? 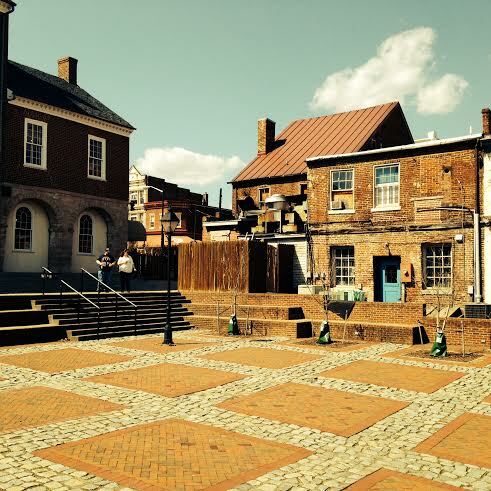 My next Virginia trips are Staunton and Richmond. Anyone interested in joining? Do you follow Cathy Dutchak (Nomad Interrupted)? She is currently back in Virginia, having taught in Oman, and has been making local forays not unlike yours. She has a daughter who lives in Richmond. I don’t know, but I will start! I’ve heard of it. My goal is to get down to visit Austin sometime in the next few years, do I’ll have to swing by the Fredericksburg of Texas when I finally make it down!